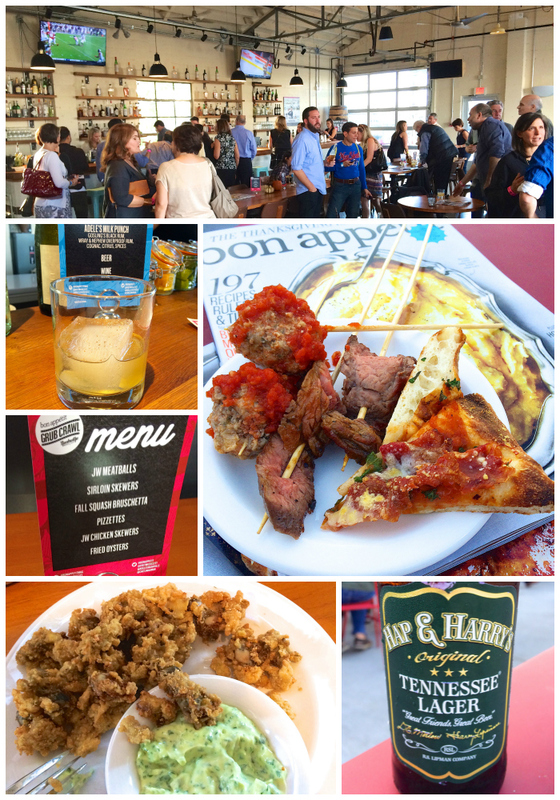 A few weeks ago we spent the weekend in Nashville for the Bon Appetit Grub Crawl. 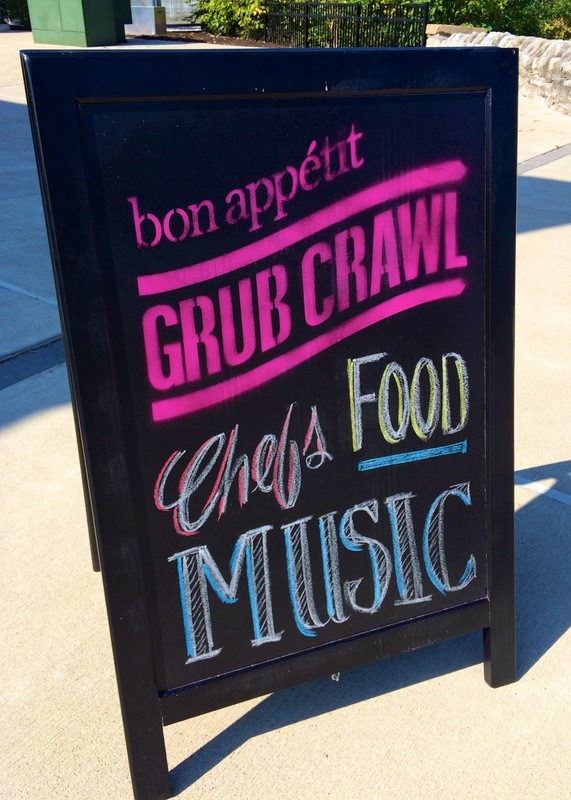 Bon Appetit offered two grub crawls - Downtown and The Gulch. We went all in and went on both crawls! 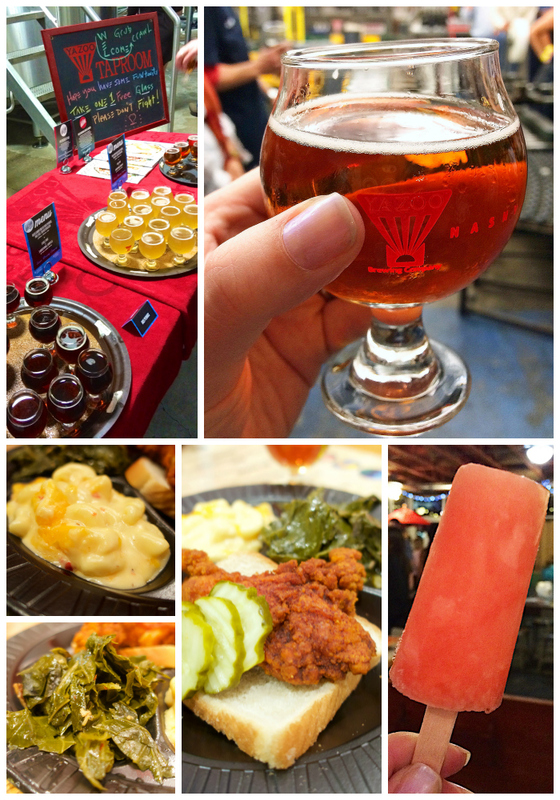 We ate and drank our way around Nashville and had so much fun! There was a great variety of restaurants. We added several to our list to try next time we are in town. 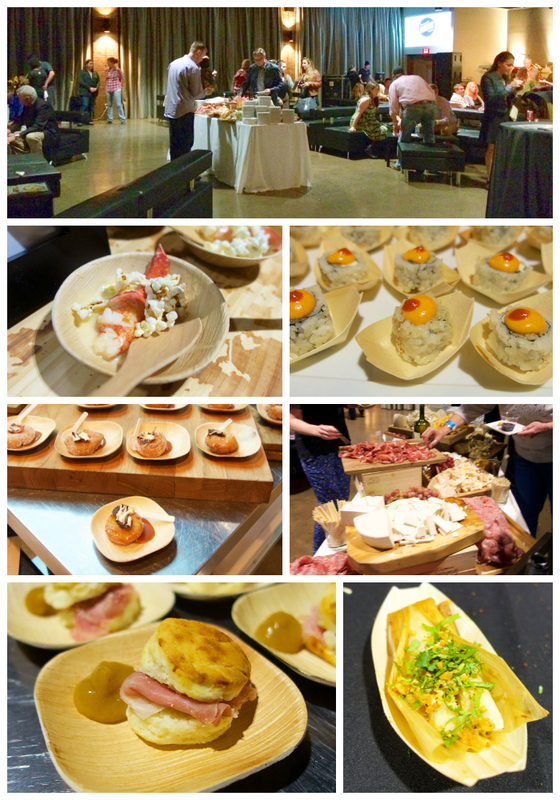 Bookmark it to find out about future grub crawls! 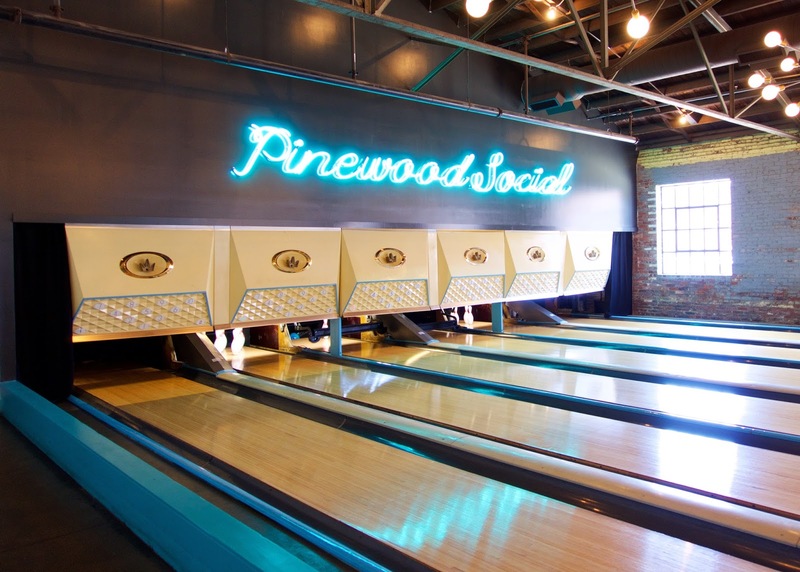 Our first stop on the Downtown Grub Crawl was at Pinewood Social. I was really excited to check it out. It has a bowling alley inside the restaurant! It reminded me of The Painted Pen in Atlanta. We had some delicious food at Pinewood Social. My favorite was the Burrata and Tomato Marmalade on Toast. I ate way too many! They had several cocktails to choose from. I sampled them all (I didn't finish them all). 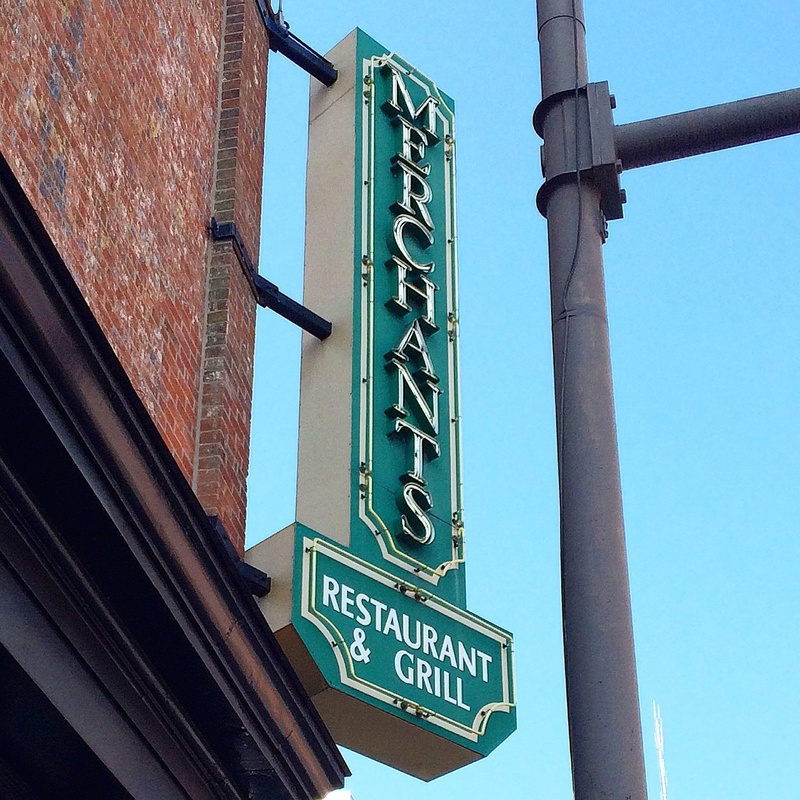 Our second stop was Merchants on Broadway. We have walked past Merchants numerous times and have never been in. I can't believe we were missing such a gem! We were served Mint Juleps and a Blinker cocktail (whiskey, raspberry liquor, grapefruit and lemon juice). YUM!!!! The food was amazing! 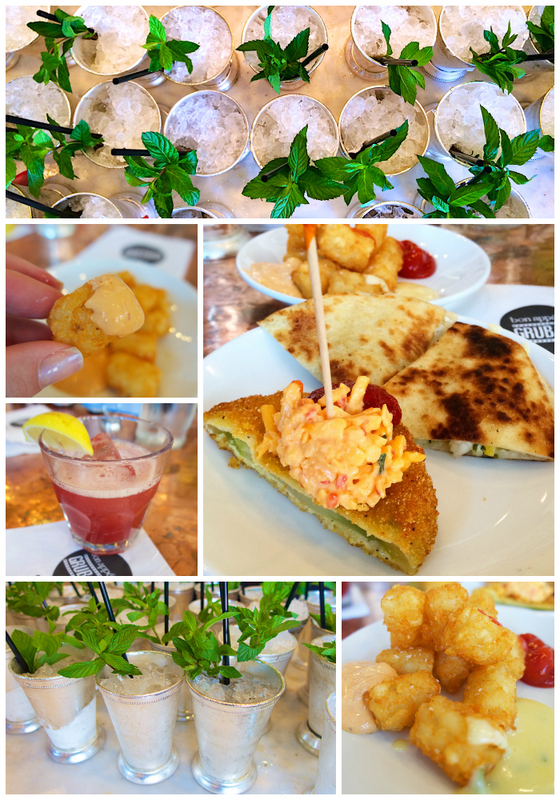 We had shrimp and goat cheese quesadillas, fried green tomatoes with pimento cheese and duck fat tater tots! I could have eaten my weight in those duck fat tots!!! 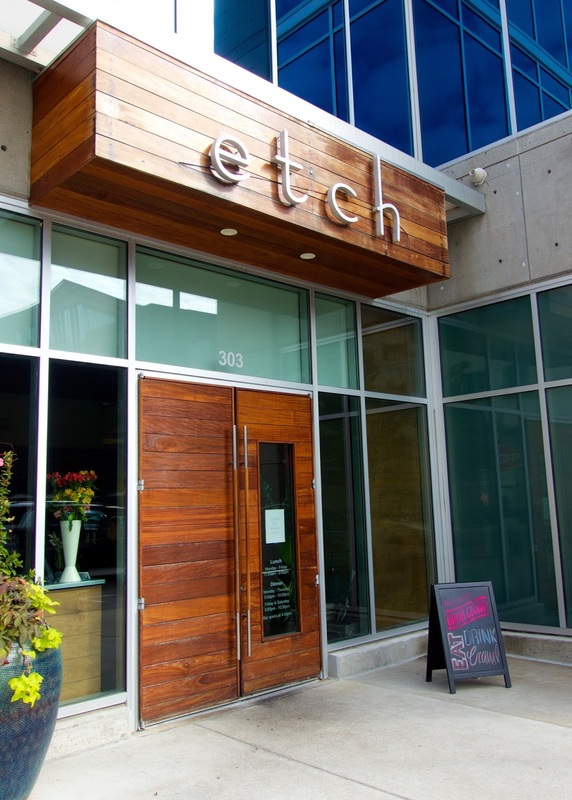 Etch was super nice. We were served a full meal. Truffle Roated Cauliflower with a feta dip, Salad, Lamb Meatballs and Macarons. The macarons were pumpkin spice and earl grey chocolate. They were amazing! 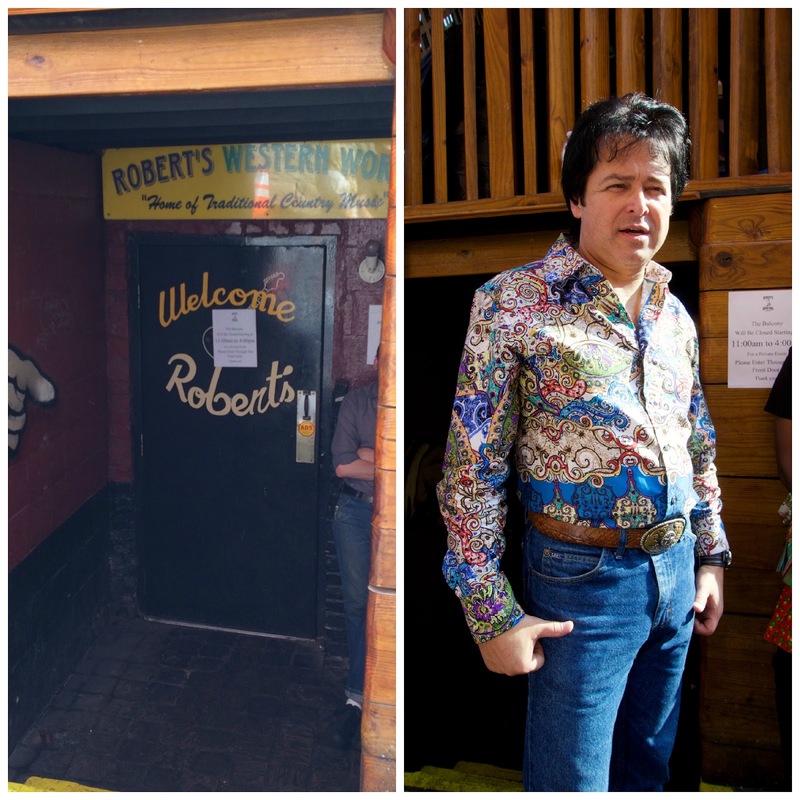 Our last stop on the Downtown Crawl was at Robert's Western World on Broadway. That Elvis impersonator in the first photo is the owner, Robert. He often plays in the restaurant. This was Chicken Legs favorite stop. 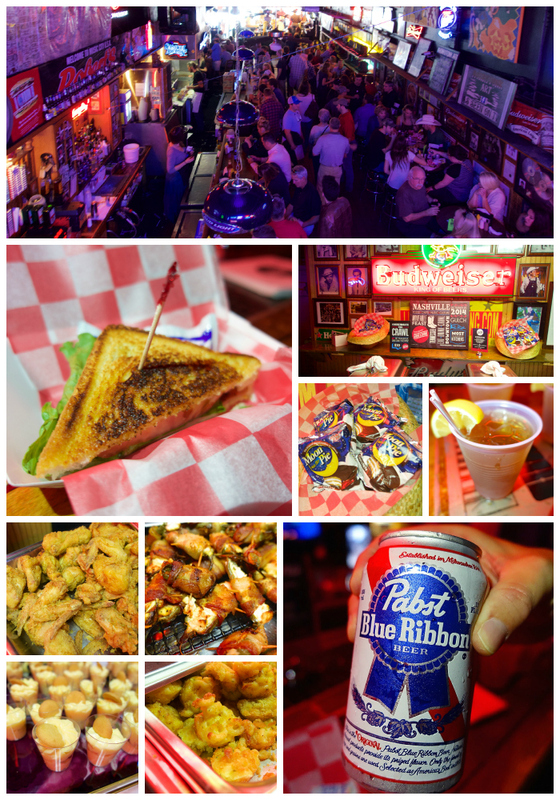 They served PBR and Fried Bologna Sandwiches. They also had a buffet with fried macaroni and cheese, fried chicken, jalapeño poppers and banana pudding. There were also Moon Pies! We'll be back for that Fried Bologna Sandwich! 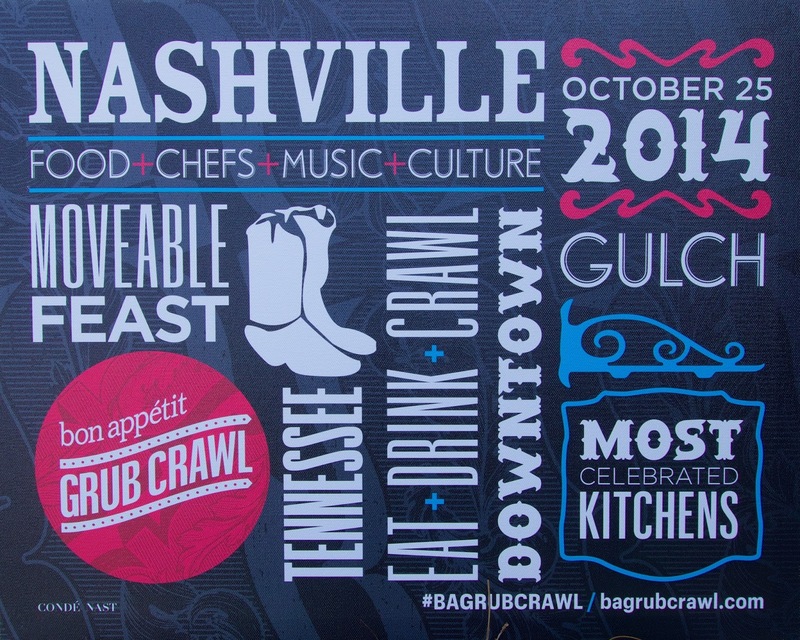 After a little break at the hotel, we headed to The Gulch Grub Crawl. 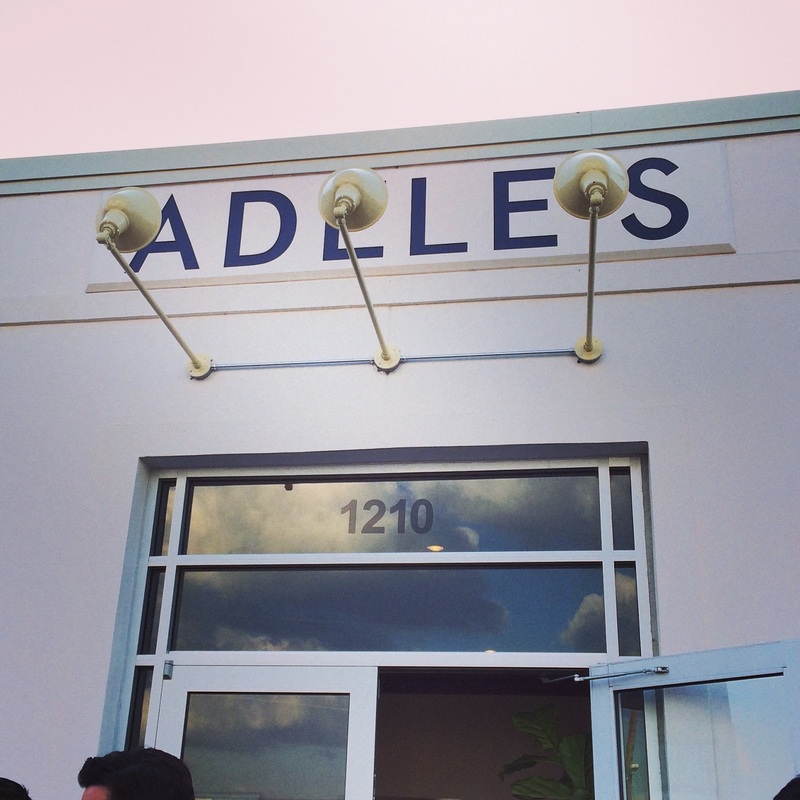 The first stop on The Gulch crawl was at Adele's. O-M-G! This place was amazing!!! I wanted to just stay here and eat dinner. Every single thing was incredible. We are eating dinner here next time we are in Nashville. 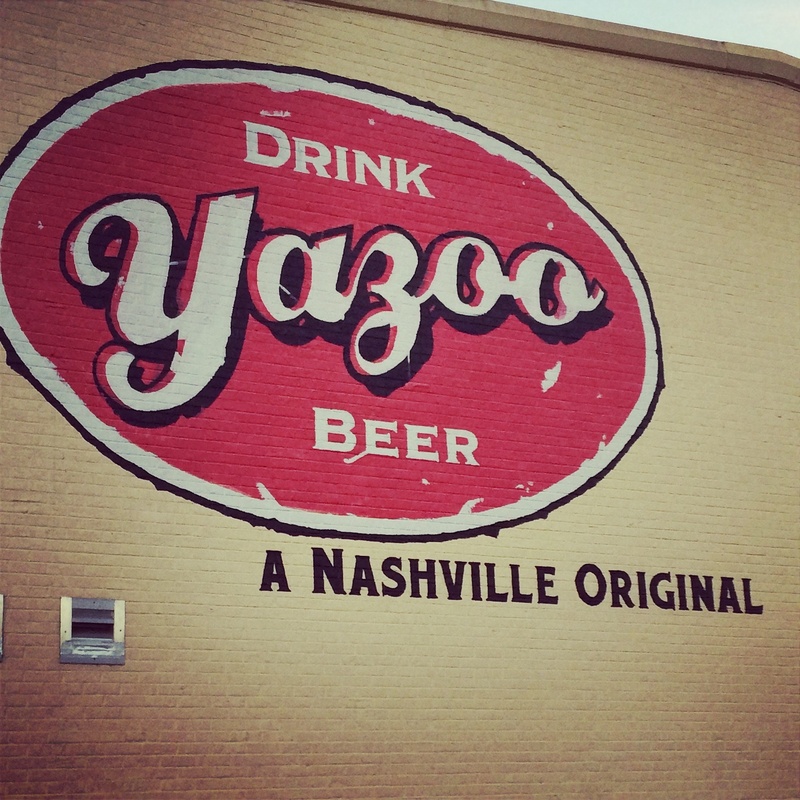 Our second stop was at Yazoo Brewery. It is the local Nashville brewery. We got to sample all the beer. 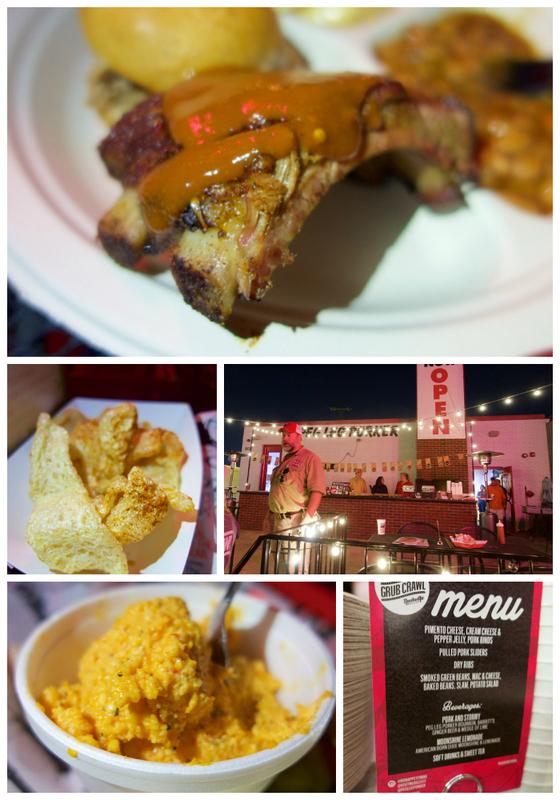 The food was provided by Hattie B's Hot Chicken and dessert was Las Paletas Gourmet Popsicles. We tried the strawberry lime popsicle - it tasted like a strawberry margarita. It helped cool our mouthes off after that wonderful hot chicken. The third stop was at Peg Leg Porker. 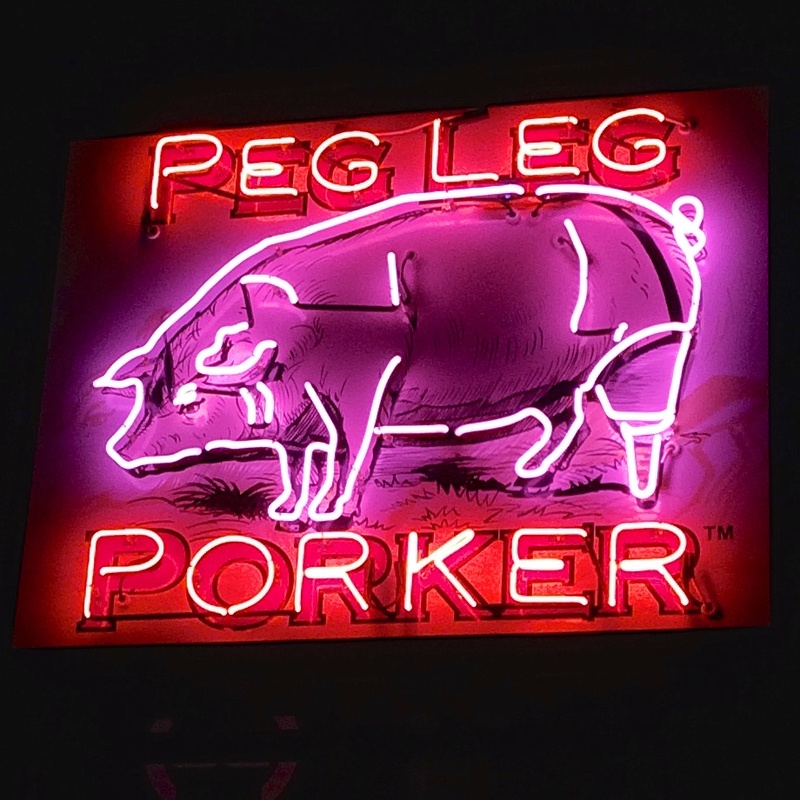 Peg Leg Porker was on my list of places to try, so I was excited to eat here. Peg Leg Porker's specialty is their dry ribs. They were really good. 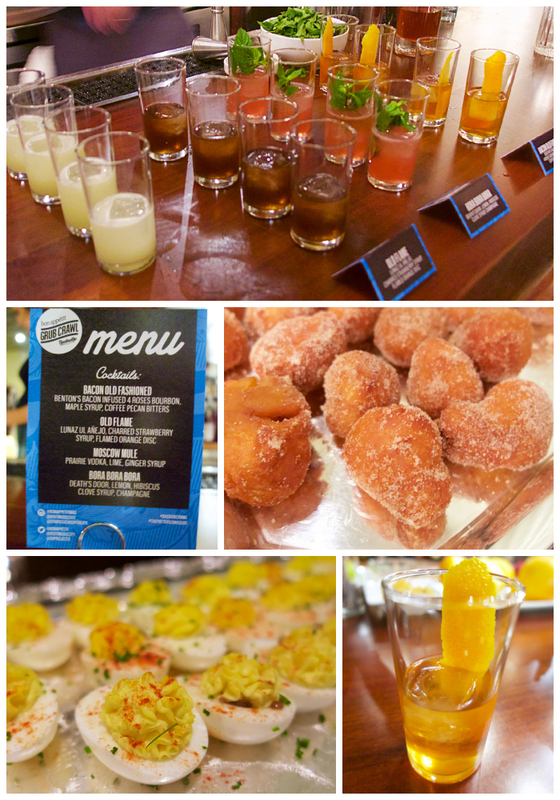 We also sampled the baked beans, mac and cheese, pimento cheese and pork rinds. The Patterson House was a real treat. 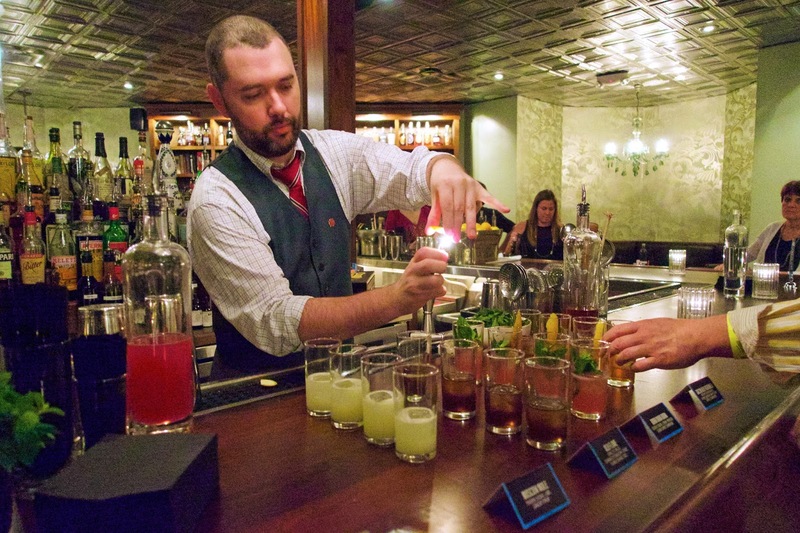 It is a speakeasy style bar. They make amazing craft cocktails. They use fresh squeezed juices and it makes all the difference. If you go to the Patterson House, do not miss the sugared doughnuts! 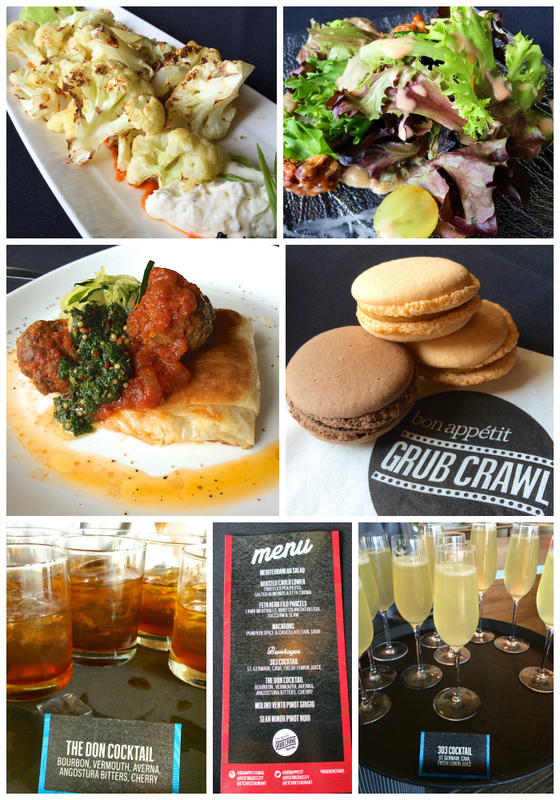 After The Gulch Grub Crawl there was an after party at The Rosewall. The after party was included in the cost of your crawl ticket. Everyone from both crawls could go. 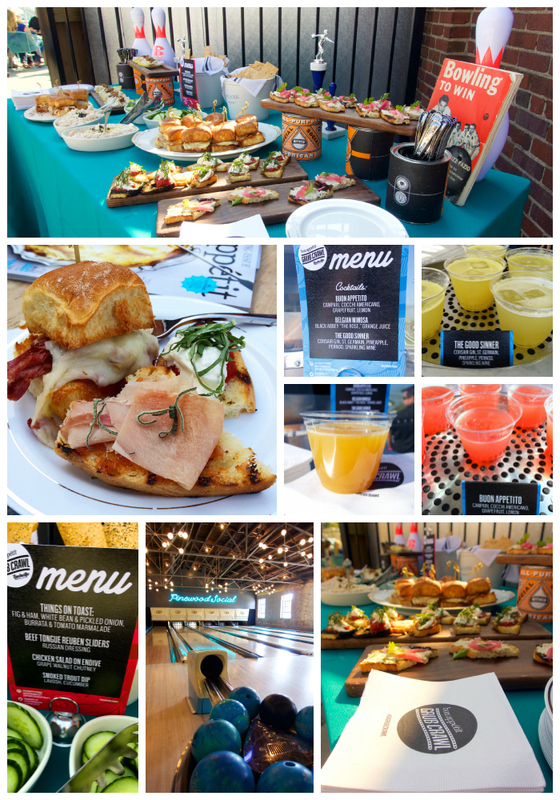 There was tons of food and drinks for everyone. They even had live music. We weren't able to eat very much - we were absolutely stuffed from crawling around Nashville. We discovered so many great places in Nashville. 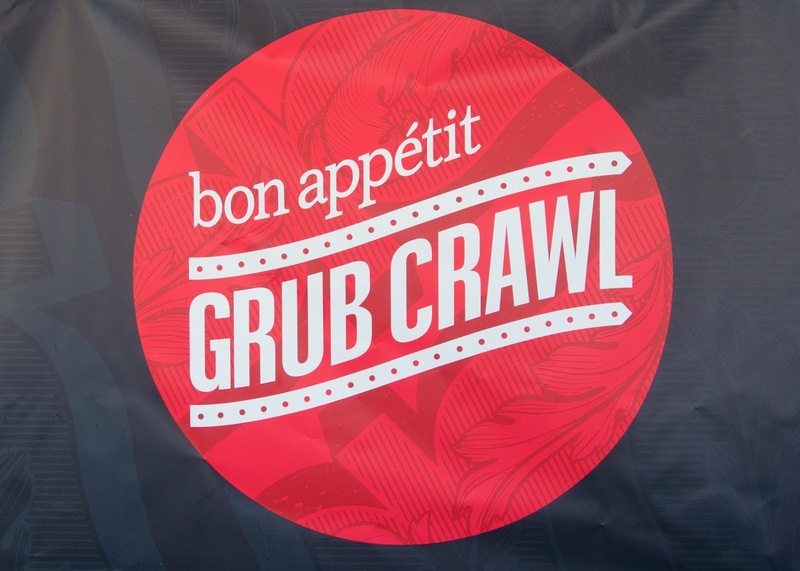 I highly suggest going on a Bon Appetit Grub Crawl if you have the opportunity! 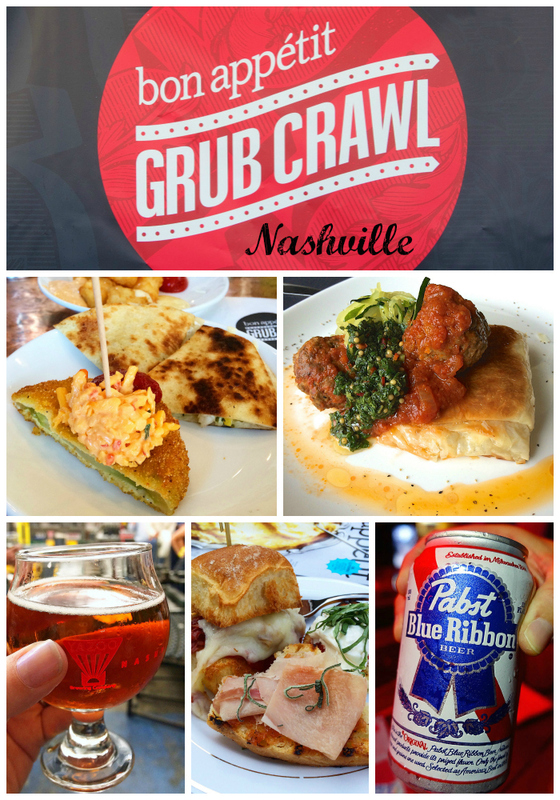 I am definitely going to be checking for future grub crawls in other cities. Did the food really look that good, or is it your fantastic photography? Honestly it all looked so deelish, and the great looking cocktails too! I know you had a ball !